The long-anticipated opening of the Bear Grylls Adventure Park is finally here! After announcing the news earlier in the year that this exciting new theme park would be located at the NEC in Birmingham, we are stoked to let you know that the park is now open for business. 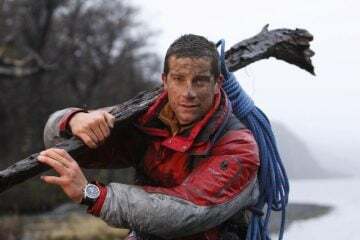 For those who don’t know, The Bear Grylls Adventure is a theme park created in association with Merlin Entertainments, who have previously brought us the likes of Thorpe Park and Alton Towers. 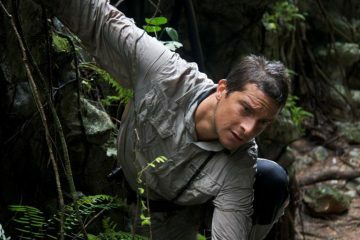 However, The Bear Grylls Adventure is no ordinary theme park. In place of rollercoasters and rides, you’ll find adventurous activities such as archery, rock climbing and sky diving. 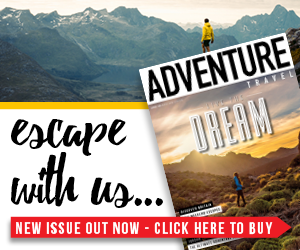 You can tackle Europe’s highest high ropes course, zip line from a gigantic chinook helicopter and even go scuba diving with black tip reef sharks. 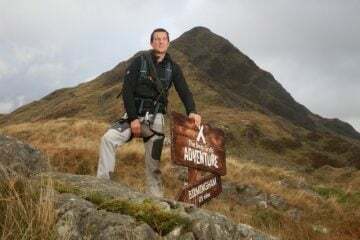 The park is aimed at thrill-seekers and adventurers looking to get a taste of extreme sports all under one roof and follow in the footsteps of some of Bear Grylls’ adventures. The main hub of the park is the fantastic basecamp, where park guests will begin their adventure. Here you’ll find four team and individual challenges to complete in 90 minutes, designed to challenge participants physically and mentally in a thrilling, action-packed environment. There’s an escape room to test your team work, archery to assess your skills and a survival maze to decide your determination. The assault course will be a physical challenge that demands a little stamina and strength as you jump climb and scramble your way through the obstacles. These four activities are designed to equip you with the core skills needed for all your adventures. Once you have completed the four basecamp activities, you can also take part in thrilling extras such as high ropes, indoor sky diving, rock climbing and snorkelling or scuba diving in a gigantic aquarium filled with underwater nasties such as black tip reef sharks and rays, alongside hundreds of other sea creatures. An expert diving team is on hand to ensure you master your technique, and no previous dive experience is necessary. Face your fears and get up close and personal with some creatures of the deep! The high ropes course is Europe’s highest and will test your nerve as you zip line from the Chinook helicopter to begin the course, choosing your route up to an eye-watering 20m above the ground. The course was inspired by the legendary Tarzan military course, so tackling it is no mean feat (although beginners are welcome). 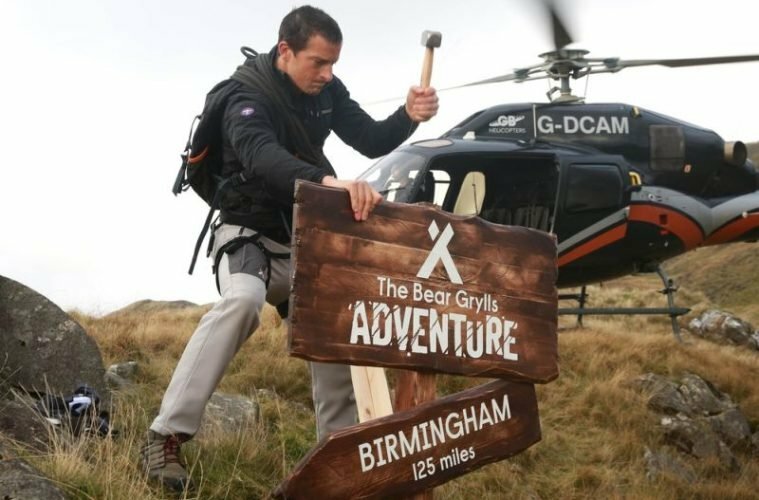 The Bear Grylls Adventure Park is located at the Birmingham NEC, just a short 10-minute stroll from Birmingham International Train Station (recently renamed ‘Bearmingham International’ in honour of the opening of the park). Tickets start from £20 for a basecamp pass when you book online. For basecamp and an additional one or two activities, prices start from £35, and for an all-in package including basecamp and all extra activities (high ropes, diving, skydiving and rock climbing) you’ll be looking at a package price of £160. Children under the age of 11 are not permitted to take part in any activities at The Bear Grylls Adventure, and children under the age of 15 must be accompanied by an adult. The Bear Grylls Adventure is open from midday until 10pm on weekdays and from 10am to 10pm on a Saturday and Sunday.